A virtual private network, or VPN, is a solution for safe browsing in the era when many of us are constantly monitored by corporations, agencies and malicious people around the world. Protecting data, whether it is some serious business information that can be considered classified, personal information data or just pictures and conversations became the top priority for individuals and companies alike. 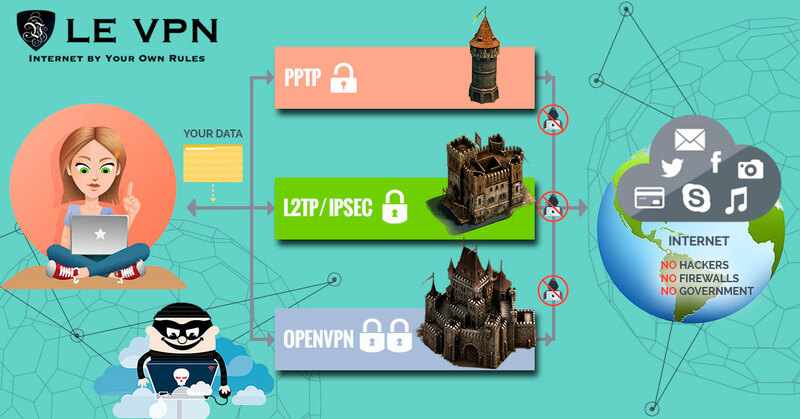 Individuals use VPN both to protect their data from malicious entities and to access that data which may be blocked by their internet service provider (ISP) because of the laws of the country where the ISP is situated or because of some business dealings the ISP might have with various corporations. With the dissolving of Internet Equality Act in the United States, there is a rising need for all individuals to know about their VPN options, as to provide a greater liberty and security when browsing the internet. Companies also use this service to protect their communication and to ensure that their in-house staff, people offshore, and all their freelancers use the same secured encryption for communication. With this accent being placed on using VPN services, a number of new providers have emerged from all corners of the world and it has become increasingly important to know how to recognize reliable VPN providers that will provide you with security without a major hit on your internet speed and ultimately have a good internet experience. As with other things in life, there is no such thing as a free lunch and sometimes it is better to pay a little bit more for a reliable service than to use a free option. We all know how the world works and if you are not paying for the service the most probable explanation is that you are the merchandise or your information in this case. What is VPN and Why Do You Need it? What is a VPN? 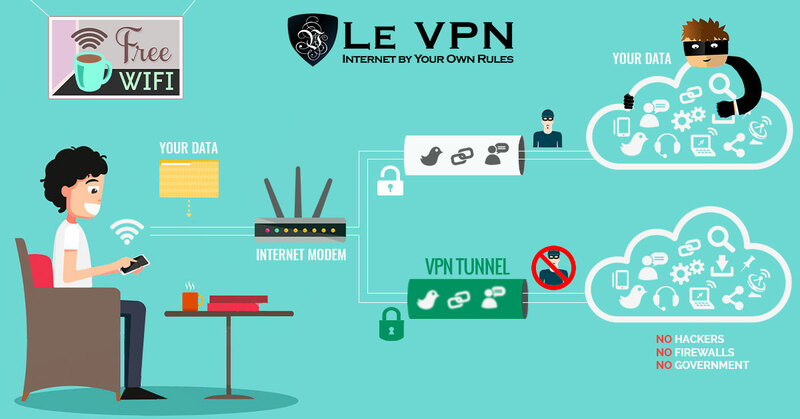 VPN stands for virtual private network and its purpose is to keep your connection to the World Wide Web safe, private, encrypted and anonymous. It helps you to mask your IP address with multiple levels of encryption; such is the virtual encrypted tunnel connecting the user to a remote server operated by a VPN service. Most people browsing the internet are already experiencing some kind of censorship without even knowing it. While in some more liberal countries these bans are focused on domains that have been connected to criminal activities such are drug or human trafficking, some ISPs use their position to deny their users access to much more benign websites that may be hosted by their competitors or any entity that the ISP doesn’t agree with. With the question of free speech, this sort of censorship has become quite a hot issue, with users around the world reporting that they are even denied access to some informational websites that they are easily able to see using a VPN. The biggest target of censorship in developed countries is still videos and music and their streaming to people, as some ISPs have a deal with different studios to block users from streaming music and videos online, in the push to make those people buy copies directly from the studios. With the fall of Net Neutrality, it is now quite possible for your ISP to downgrade your access to any website, either because of prolonged usage or because of some shadier reasons. This had been reported for the popular video streaming service Netflix where users have, all of a sudden, been greeted with a pop-up ’’Netflix has changed/configured your stream’’ and downgraded your movie from FHD to a lower definition. This issue is completely resolved when using a VPN or a Netflix proxy. In some less politically liberal countries, such as the People’s Republic of China, there is a country-wide internet censorship that is mandated by the government. Infamously known as ‘’The Great Firewall of China”, this regulation prevents any person connecting to the internet in China to access the majority of movies and music, but also most chatting servers and even information networks that were not pre-approved by the ruling party. In China, as well as in countries with similar regulation, using a VPN China is a necessity if you want to access this kind of information. You should be wary though as in those countries it is not only a crime to allow such information through the server, it is also usually illegal to view that content, which may put you in some hot water if you are doing it publicly. When surfing online it is important to know that your data is secured. VPN service will ensure the safety of your personal information and data by creating a virtual tunnel of encrypted data and number of VPN protocols used in this process for your data to travel securely. When using a VPN service from any provider, be sure to check what kinds of protocols are used, as most free VPNs will only use PPTP protocols which are somewhat obsolete and have been proven to be unsafe. While you will be able to connect to any site while using any VPN, there is a strong possibility that by using an unreliable service you have not only opened yourself to data theft but have even given all access willingly, if any malicious entity has already hacked the VPN server. On the other side, most paid VPN providers who charge a monthly fee, or some other paying method, can support multiple levels of protocols including PPTP, L2TP/IPsec, OpenVPN, SSTP and even SSH. Even with all these layers of encryption, be careful when sharing data using a Peer-to-Peer (P2P) method, as this will always show your original IP address, and usually point out that you are using a VPN. When multiple protection protocols work in lockstep, they are able to provide greater download speeds in addition to greatly improved security. This is why you should always check what kinds of protocols are active on the VPN server that you are connecting to. Keep in mind when surfing online, the connection is probably not secure unless you access the site via HTTPS as that would be the case when VPN server is connecting to websites you access. As we said before, something might be free of charge and still cost you quite a bit. Also, there are services that will charge an arm and a leg without providing anything to justify that price tag. With the number of options for a VPN increasing almost daily, an informed user must be vigilant that the service they are buying is not only hot air. The most reasonable amount to pay for a VPN is up to a dozen dollars, but even here you will need to be sure that the provider is clearly stating what kind of protection are they offering, in how many countries do they have servers and, most importantly, can you contact them. Reliable VPN providers are professionals that are proud of their work and will be more than willing to show what they offer and to tell you exactly how to contact them, as they want your continuous business. With ‘’Free VPN” you will need to be as vigilant as of when giving your real name while internet dating, which is probably a sign that you should never do it. There are two types of ‘’Free VPN” providers, which are both very unreliable and will never provide the same level of service as a legitimate company. The first and much better, type of ‘’Free VPN” providers are the enthusiasts who want to offer the people a possibility to browse the internet freely. This type shares the same problem any amateur endeavor has, as they don’t have enough time to create good protocols, don’t have enough personnel to protect their network, and don’t have enough money to keep the service operational for a long time. While this kind of people are one of the good guys, they usually end up providing their expertise to one of the reliable VPN companies where their work can truly help a lot of people get a good service for which they will be willing to pay a small fee. The other type is the malicious VPN that is using the need of internet users for access to different sites as to collect data and sell marketing. In most developed nations and the entire EU, the ISPs are forbidden from collecting data on their users. This data is very enticing to corporations and salespeople, and they are willing to give good money for insight into your browsing and buying habits. This is where malicious entities, under the guise of ‘’Free VPN” come into action, as they become a substitute channel through which all of your internet passes, collecting that data and serving the opposite purpose from the one that they were meant to serve. And once your data is collected you usually have no way to sue a ‘’Free VPN’’ service as you will usually not even know where they are, and they are usually in a country that doesn’t care about the fact that you have been scammed. When it comes to speed as deciding factor when choosing between free VPN or paid VPN service, you should be aware of a few facts. In case of paid VPN services with stable software, hardware and server maintenance, and which have the ability to afford the costs of that system, you may rest assured you will get optimal speed and access to unlimited bandwidth. This will depend heavily on the provider and the range of packages they offer. The only problem with some paid VPN providers is that its more secure connection might affect the speed because of the heavy encryption. You don’t know how fast it is going to be before you test the speed and some provider will offer a demo VPN option for those same reasons. The data stream sent through the virtual tunnel will flow more slowly with encryption happening from your end and then going back and forth to the server. That means that your speed will be decreased because of encryption happening on your end, and then decryption on the other end and then re-encryption on the other side. While this will increase your ping, it will be much more stable when downloading big packs of data. Low ping is important for direct communication, such as when you are using VPN for Skype or Viber, as latency issues can create a lag and diminish your satisfaction with the service. As even with multiple layers of encryption this latency will be less than a second, it will not affect your use of streaming services or website browsing, as there is no ‘’back and forth’’ of information, but rather one request and then a stream of data from the other side. In these cases, only the download speed is important, and professional VPN providers will always have an upper hand in this regard, as they usually have equipment that can support the services that they are offering. As even the benign free VPN providers are usually a ‘’work in progress’’, their connections speeds will be significantly lower, and even their latency issues might not be resolved, even with the reduced number of safety protocols. The reduced speed might also be caused because of the number of people using the same server since it is free and thus overwhelming the relatively weak ability of a free server. And in some other cases, a free VPN might not serve you as you might have thought in the first place. Many Free VPN providers will be inclined to sell your bandwidth to other users, leading to you having a much slower speed. When some other individual on the network is using your bandwidth and processing power is slows your connection significantly, and it might even affect your device. Finally, when it comes to the service itself, it is both more prudent and more effective to spend a couple of dollars a month for a reliable service than to gamble with your data and the safety of your device, which are worth much more than the price of a good VPN. With paid VPN services you will get a larger spectrum of servers to choose from. There will be more servers to pick from with much less risk that servers will be overwhelmed by the sheer amount of other users. There is a lot of work involved in providing a good VPN service. There is the hardware, there is the personnel, there are bandwidth fees and quite a bit of electricity spent. Those who are tech-savvy and have tried to create any system know how much money and time goes into even the most basic of computer systems, let alone those who are meant to serve thousands of people every day. Professional VPN providers will work hard and plan thoroughly to afford and provide the promised bandwidth for their users. That can be accomplished by putting multiple VPN nodes and investing in technological infrastructure for VPN technology to accomplish their potential and overcome future development issues. It becomes a bit suspicious when ‘’free VPN providers” advertise the same service that costs thousands of dollars just to maintain to be free. How can the afford offering a free VPN server of the same quality as a paid VPN service? Nobody likes losing thousands of dollars a month and, as you may imagine, it is not a normal part of any business plan. This is why sites that pretend to offer a ‘’premium free service” are more often than not just scams to either infest your device with malware or to steal your data and observe your browsing habits. Because of the needs of a good VPN and the level of expertise and funds needed to maintain such a service, a ‘’free VPN’’ will usually be little more than a group of free proxy servers tied with one official name, and sometimes not even that. While after enduring a talk with tech support of an ISP or mobile provider we can imagine that those people are doing that for pennies, good tech support means a lot, and VPN providers don’t have the luxury of ISPs to be rude or unhelpful to their customers. Because good tech support can cost the company quite a bit of money, ‘’Free VPN’’ doesn’t even try to offer this service and, if anything goes wrong you can either figure it out on your own or, if it is an amateur enthusiast providing the ‘’Free VPN’’, you may be able to consult the wiki or FAQ page. Good help is hard to find and good VPN providers try to offer the best customer support that they can, as to keep their customers happy and be ahead of any problem that might exist in any of their servers. When discussing anonymity it is very important to be aware of whom you are being anonymous. In this case you have a choice between a professional VPN service or a free one, as with the former you will need to provide some information to the VPN provider as to be anonymous to all others on the internet, and with a free VPN you will not be asked to give your information to the VPN provider, but you will not be sure that you are anonymous to any other entity on the internet. This is where the reliability of the VPN provider comes to action and there are no reliable free VPN services. You may be able to provide a fake name and information when signing up, but the VPN provider will still have your original IP, as well as the access to any browsing data or personal data that you have sent to the internet, even when you have thought that it is safe. Professional VPN providers will be obliged to give your information if that is requested by a judge concerning to a criminal case, as they are a legitimate business that works under the law, but that means that you would be able to sue the professional VPN provider for any misdoing. ‘’Free VPN” offers no strings attached to the government, but this is a double-edged sword, as this means that you are also unsecured when the VPN providers do anything illegal to you. Finally, you should always be informed and try to use only reliable and trusted outlets as to secure your browsing and protect your privacy from the increasing number of people who would like to invade it. We hope we’ve convinced you to use a reliable paid VPN service like Le VPN. Find out more about us here and try our VPN service with a 7-day no-questions-asked money back guarantee in case you are still not convinced.